A second man has been arrested on suspicion of causing serious injury by dangerous driving after a car collided with a pedestrian in Lincoln Road on Sunday. The pedestrian suffered a serious head injury and had to be airlifted to Addenbrooke’s Hospital. 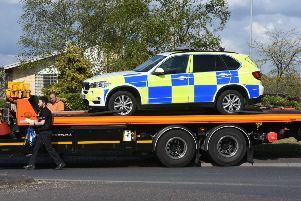 Police confirmed yesterday (Monday, June 19) that a 22-year-old man from Peterborough had been arrested over the incident, and this morning confirmed a 45-year-old man from Peterborough was also arrested. Both men have now been released under investigation while enquiries continue. The emergency services were called after 5pm on Sunday to the collision. Police had also been called to Lincoln Road a few hours earlier as a large number of people celebrating Pakistan’s win in cricket’s Champions Trophy had caused “minor traffic disruption” according to a police spokeswoman. The crowd soon dispersed, she added.